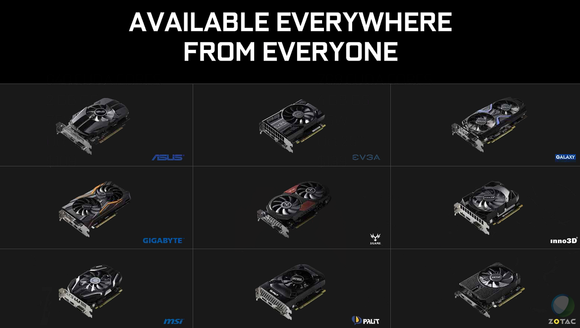 These graphics cards are aimed toward giving prebuilt “big box” PCs enough oomph to game, with a mere 75-watt power draw that negates the need for extra power connectors. As such, they’re suitably budget-friendly. The GeForce GTX 1050 Ti will cost $139, and the GTX 1050 a mere $109, when the graphics cards launch on October 25. 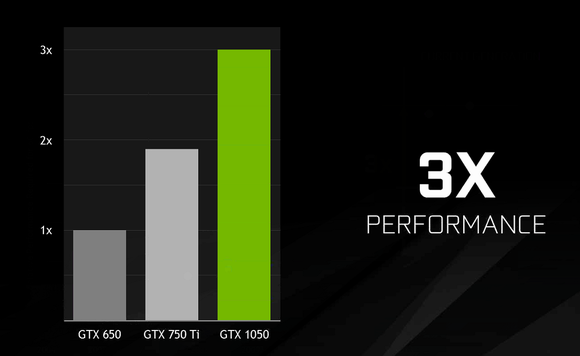 Here’s the GTX 1050’s performance in actual video games. 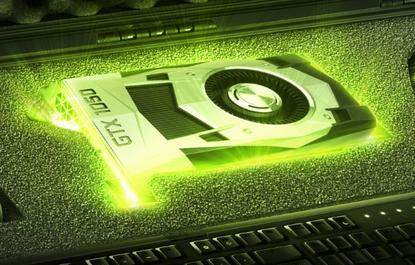 Be wary of Nvidia’s numbers here: In a briefing, a representative said GTA V was run on Medium graphics settings, for example, while Dota 2 was cranked to High. 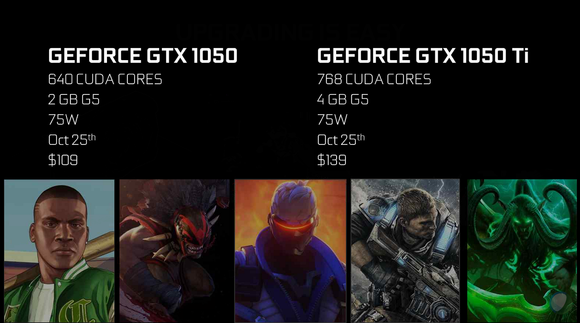 That said, balancing between fidelity and frame rate’s a necessary evil in graphics cards in this price range, and it’s nice to see the GTX 1050 hitting 60-plus frames per second in major—though certainly not strenuous—games. 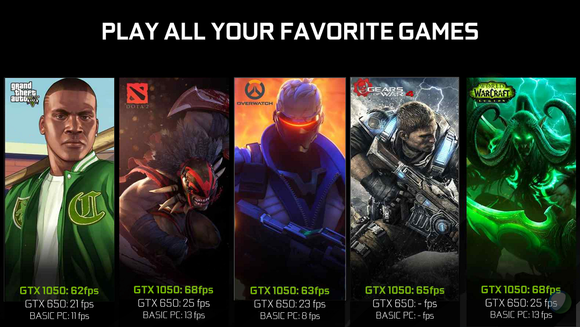 It’s worth noting that Nvidia’s GeForce Experience 3.0 software can optimize your games with a single click, though you’ll likely to need to tinker further for best results (it often sets bizarre screen resolutions) and you need to register to use GFE now.